A family-owned Greek diner in Binghamton where you will want to be a regular! Click here to read some of our 400+ Google reviews! 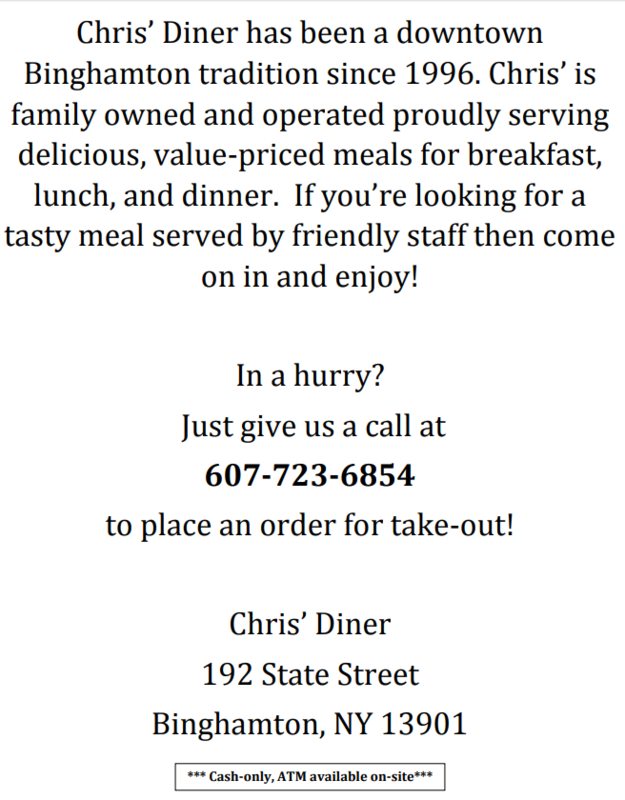 Chris' Diner is located at 192 State Street in Binghamton, NY. To place a take out order call them at (607) 723-6854.